Error:Could not load file or assembly or one of its dependencies. Error:Could not load file or assembly or one of its dependencies. This assembly is built by a runtime newer than the currently loaded runtime and cannot be loaded. I go the error when I hosted my website in IIS and try to browse the web page from IIS 6.1 on Windows 7 machine. Error:Could not load file or assembly or one of its dependencies. This assembly is built by a runtime newer than the currently loaded runtime and cannot be loaded. I got this error when I hosted my website in IIS and tried to browse the web page from IIS 6.1 on Windows 7 machine. In order to resolve this error. 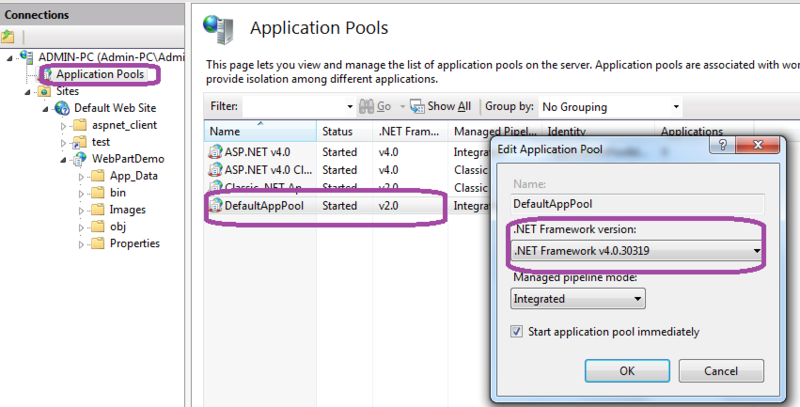 Go to the Application pool under which you application is running and change the .Net Framework version from v2.0 to v4.0. If you are don't know under which application pool your application is running. 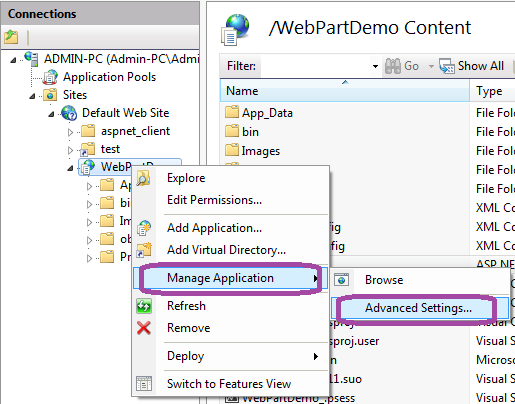 Right click the application in IIS -> Manage Application -> Advanced Settings -> Application Pool - this will display the application pool for your application. This will resolve the error and you can now try to browse the file.